Formed in 1983, Britain’s Sade made a splash in 1984 with Diamond Life, which went top 10 in the UK and was followed up by 1985’s equally impressive Promise. At their core, Sade play a combination of R&B, soul, jazz, and funk, using elements of soft rock and even trance and trip-hop to add spice to some of their compositions. Solider Of Love is the band’s sixth studio album, the follow-up to Lover’s Rock, which was released in 2000. Ten years is a long time to wait, but the wait has been worth it. 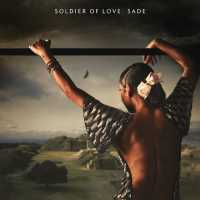 Recorded at Peter Gabriel’s Real World studio, Solider Of Love retains the core Sade sound, but it also takes risks, some of which may alienate long-time fans. Beautiful, mesmerising, and always soft, Sade creates a free-flowing tapestry of sound with songs such as Morning Bird, Long Hard Road, and The Moon And The Sky. There’s also Babyfather, a melancholic ballad (derived from actual experience) that carries forth the tradition set by compositions such as Tar Baby and Never As Good As The First Time. The title track is a hard rocker in terms of Sade’s output, the song comparing war to a personal relationship. Then there’s the trippy Skin, which uses electronic percussion to good effect (as it should, considering it includes a subtle tribute to the late Michael Jackson). As always, the band is pristine in its execution. Guitarist Stuart Matthewman continues to impress, his soft approach to each song producing an eclectic array of chord stings, acoustic rhythms, and short but funky solos. I would have liked to have heard more of his saxophone, however, as in the standout track In Another Time. Keyboardist Andrew Hale keeps to the shadows, his approach is more in maintaining atmosphere than in taking centre stage (for example, listen to Be That Easy). And then there’s bassist Paul S. Denman, whose thick and resonating notes give Sade much of their underlying power. Also worth noting are drummers Martin Ditchman and Pete Lewinson, both of whom give the band a very jazzy touch. Taking centre stage is lead vocalist Sade Adu, whose dreamy approach continues to mesmerise. Throughout her 25 years in music, Adu has not lost any of her edge, her voice as strong, passionate, and soothing as ever. Lyrically, Solider Of Love continues the band’s exploration of relationships, only this time most of the lyrics lean more toward the morose and melancholic. Themes are centred on lovers who have been hurt by rejection, with jilted passion and the need to move on giving many of the songs a haunting, at times sardonic quality. For Sade, love is pain. Long-time fans of Sade will not be disappointed, but those new to the band may find the overall pace and lack of variety hard to get through the first time around. However, subsequent listens will reveal the underlying spice of the album, which is filled with well-textured melodies, subtle experimentation in percussion, and an overt minimalism that resonates long after the CD has stopped playing.